Tickets for this tour are SOLD OUT. Click here to learn more about members’ ticketing. Not a member yet? Join now to access all the perks of membership! 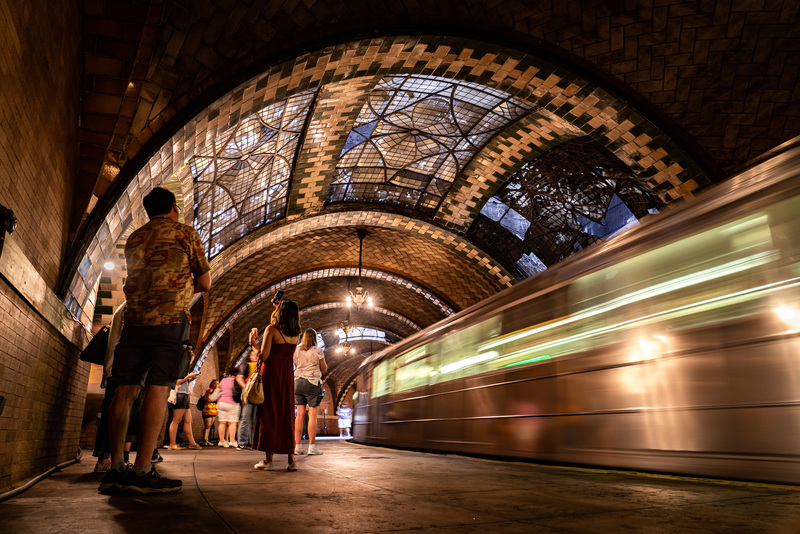 Old City Hall station tours begin above ground with a historical walk in the area, followed by a visit to the station itself. Tours last approximately 2 hours from beginning to end, run rain or shine, and require walking, standing, and stair climbing. Flip-flops and other backless shoes are prohibited. Restrooms are not available along the route. If you have any concerns, please email [email protected] or call 718-694-1867. For information on American Sign Language interpreters, Assisted Listening Devices, or other accessibility matters please visit nytransitmuseum.org/accessibility.